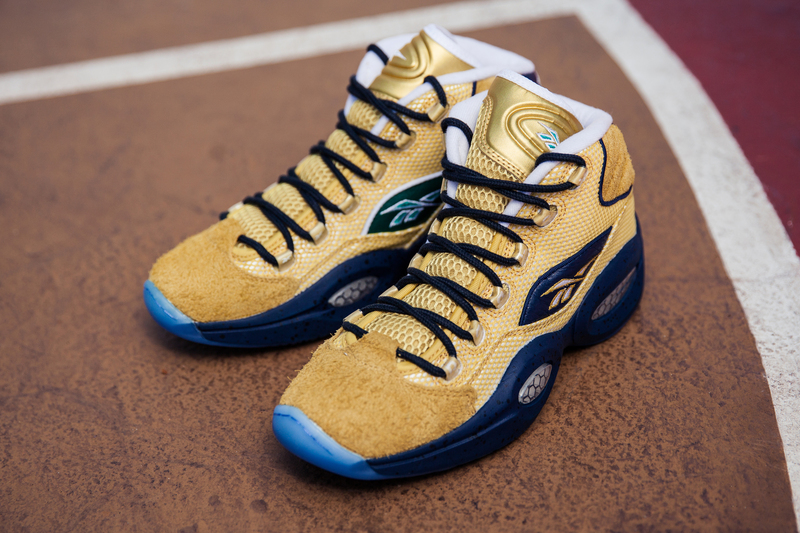 One of Allen Iverson’s best sneaker models, the Question, makes a return in a brand new colorway. 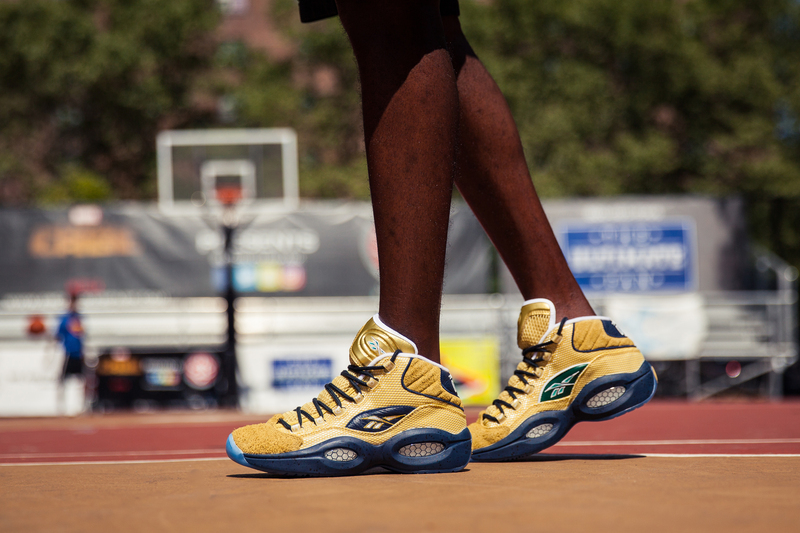 This shoe revolves around AI’s trip to Holcombe Rucker Park in New York City, the mecca of basketball in 1996. He teamed up with Stephon Marbury playing in the Entertainment Basketball Classic. 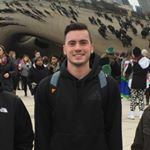 Many NBA greats and skilled players play pick up or in this annual tournament held at Rucker and fans flock to the court to watch. Dressed in a colorway that was inspired by the jersey A.I. 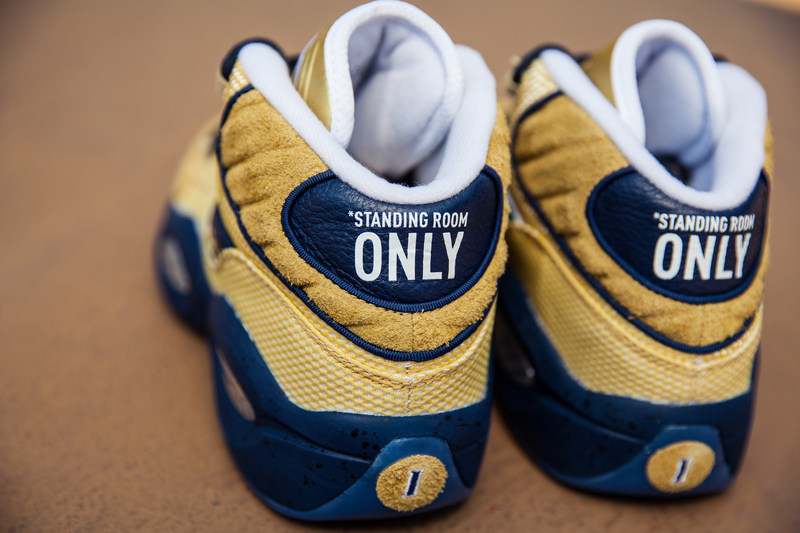 wore in the game, the sneakers feature details like jersey mesh and what is described as “hairy” suede in gold with full-grain leather and navy accents. The words on the heel “Standing Room Only” reference that the park was filled to beyond capacity and people were left to stand along the sidelines, which happens more often than not.